In the past mentioning the words thrilling, West Bromwich Albion, and Everton in the same breath would have been met with raised eyebrows and funny looks. This season, I think it is safe to say that this is a statement of truth. Everton has begun their season in flying form by first beating Manchester United then proving themselves with their second excellent display against Aston Villa. The two match showcased David Moyes’ strategic mind and his ability to guide his team to victory while also putting his team’s strengths on display for everyone to see. Everton’s team has maintained it’s basic form, but has been able to add several things that have been missing over the past years: capable scoring strikers, a stable setup, and a lack of injuries. If they are able to keep this squad healthy they should have no problem getting into Europe next season. The addition of Kevin Mirallas should really bolster their chances as well. While he may have been the leading scorer in a lesser league than the Premier League, he is still a striker and when provided with chances should not have a problem finding the back of the net. Everton proved their defensive capabilities against a nearly never ending storm of attacks from Manchester United. The back four of Baines, Hibbert, Distin, and Jagielka is very tough indeed and the midfield in front of them led by Phil Neville has every bit as much quality. West Brom has been another team that has started strong and exceeded expectations. While some may see their 3-0 win over Liverpool as a fluke, it was a win in which they did well to frustrate Liverpool and make better use of the ball. Against Tottenham they continued where they left off. They have continued to play an attacking style of football that has been enjoyable to watch. Couple that with a difficult defense to break down and they should be able to keep themselves up again this season. They should even be able to break out into the top 15. West Brom is another team that will benefit from their stability. They may not be the flashiest of teams out there, but they know how to get the job done and do it well. They have a young striker to bring in (off the bench for the first 2 matches thus far) in Romelu Lukaku, who has shown he is not afraid to run at defenders and throw his weight around. His loan move should certainly be one that is beneficial for all involved. Having secured the services of Ben Foster in goal they have added the stability of a quality, young goalkeeper that should be around for awhile. Their midfield and defense may not be full of big name players, but they have the ability to frustrate other teams and propel the attack at the other end. For this match I see it being a battle on both sides. Each manager will have their tactics laid out ahead of time and it should be a full on, open attacking display from both sides coupled with some excellent defending. I don’t see this game being a dull one at all. Even if there are no goals scored, I would expect everyone to be busy. Both teams have had plenty of chances on goal this season and Saturday’s match should be no different. I, for one, am I excited to see the outcome of this match. I am picking Everton to win 2-1. For those fans watching in the U.S. the match is being televised on Fox Soccer Channel at 10:00am. Let me know what you think of this match? Do you agree with the score? Is Everton really as good as they have played so far? 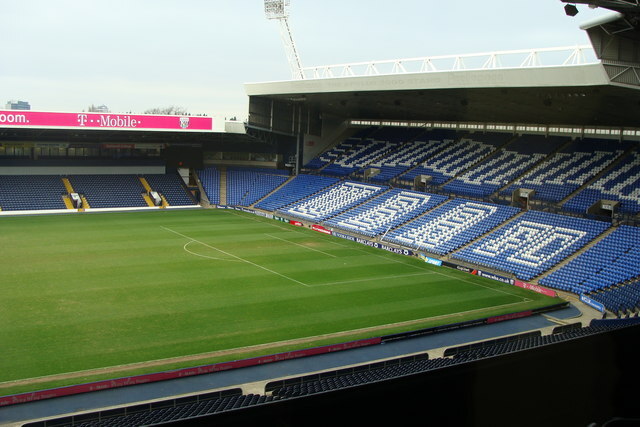 Will West Brom finally lose it? ← QPR’s Spending Spree: Too Much?